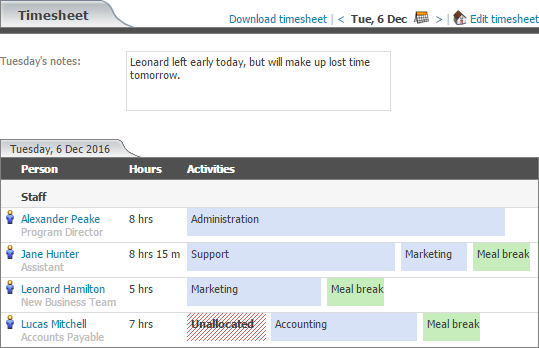 Time sheets for waged staff can be managed and downloaded from the dashboard. The number of hours each day is determined by signing in and out from the app. The hours can be overridden where needed, and activities can be assigned down to 15 minute intervals. Time sheets are downloaded weekly as spreadsheets. Downloads contain staff names, payable hours per day, hours per cost centre, account codes and comments. Each office, site or business division has its own time sheet. Time sheets are updated automatically when a staff member signs in and out. As staff come and go each day, their total hours on site are calculated. Any adjustments to hours are highlighted in the downloaded spreadsheet. General comments can be added to time sheets. Comments can be used to explain any anomalies to the payroll department. From time to time, staff may forget to sign out when they leave work. This causes the time sheet to overstate their hours. The system detects when a person doesn't sign out, indicating that the calculated hours in the time sheet need to be adjusted. Operators can edit time sheets if their user account has sufficient privileges. no rights to edit or view time sheets. As an account holder in the Attendance System, you can manage account privileges for people within your organisation. Time sheets are downloaded on a weekly basis, with one time sheet per office, business unit or site as appropriate for your organisation. 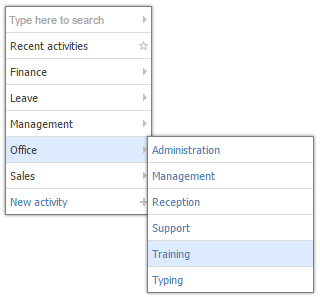 From the dashboard, sites can be added such as "Central office" and "Regional office". iPads and iPhones can be linked to each site so that when people sign in they appear on the correct time sheet. A time sheet is produced for each location each week. Any adjustments to hours are highlighted in the downloaded spreadsheet. For example, if an operator changes a person's hours from 8.5 to 8, then a comment appears in the relevant cell in the spreadsheet - "This person's hours were reduced by 30 minutes on Monday". Activities are also known as job costs, cost codes, or department codes. They are used to identify the tasks that staff work on. Over time they show the labour cost structure across your organisation. Activities vary widely from company to company. Examples are Sales, Office Admin, Management, Timber Framing, Nursing, Mechanical Repairs, Food Preparation, etc. They are managed from the dashboard. Activities can be specific to a particular office or site, or shared across all sites in your organisation. They can also be remunerated such as Office Admin, or unpaid such as meal break. Activities are arranged in a hierarchy. This allows reporting at a high level down to a more detailed level. When editing time sheets, activities can be assigned for the hours that people were on site. 1 hour on meal breaks. Activities can be given a budgeted number of hours for the life of a site. This is suitable for fixed term locations such as construction sites and temporary work areas. The budget contains hours as opposed to costs, and can be uploaded repeatedly over the course of the project if the budget changes. 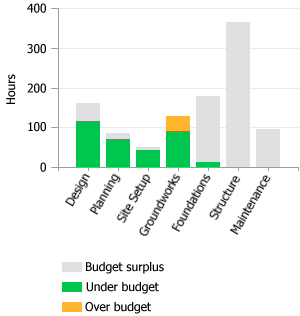 hours allocated that are over budget (orange). Budgets are uploaded per site. This is done from the Activity summary page in the dashboard. A link downloads a spreadsheet template, which is populated and uploaded back to the dashboard. Rules are used to automatically assign activities to staff. This automation can produce time sheets quickly where staff follow a weekly routine. rule #3: assign all remaining hours to Cabinet Assembly. Rules can apply to different days of the week, and be scheduled to repeat. Rules can apply to specific sites. rule #4: when signing in at Corporate Headquarters, assign all hours to Project Planning. When editing time sheets, operators can override the activities set up by rules if necessary. This is done by dragging bars and choosing different activities. There are two ways to manage annual leave and sick days. Manage leave in your payroll system. 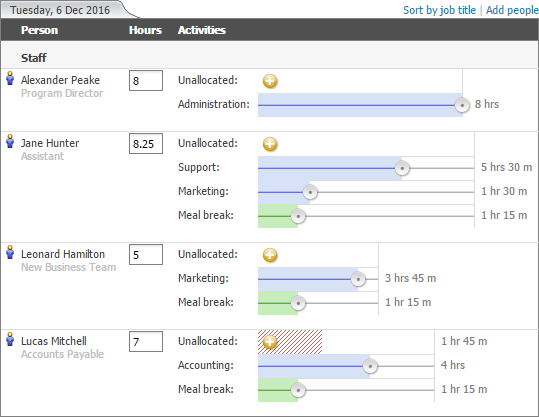 Staff can be added to time sheets manually with activities such as Paid Sick Leave, Unpaid Sick Leave, Annual Leave, Maternity Leave. 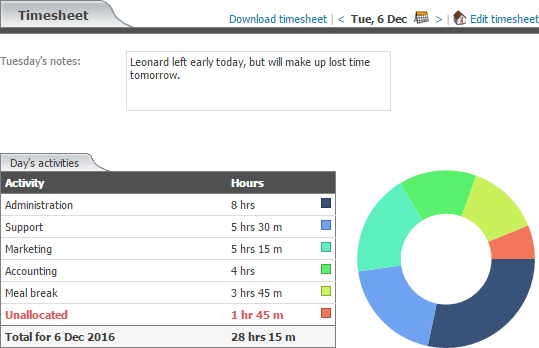 Staff are added to time sheets automatically when signing in with the app, however if they are absent they can be added via the dashboard. When adding staff manually they can be assigned to an appropriate activity. They will then appear on downloaded time sheets. Alternatively, leave can be managed separately from the dashboard in your payroll system. Time sheets are produced from the dates and times that staff sign in and out. set up rules to automatically assign activities. Time sheets are downloaded as spreadsheets, where the recipient is a payroll system or team. There is a security matrix that determines who can edit time sheets.